Panasonic Archives - Solar Love! 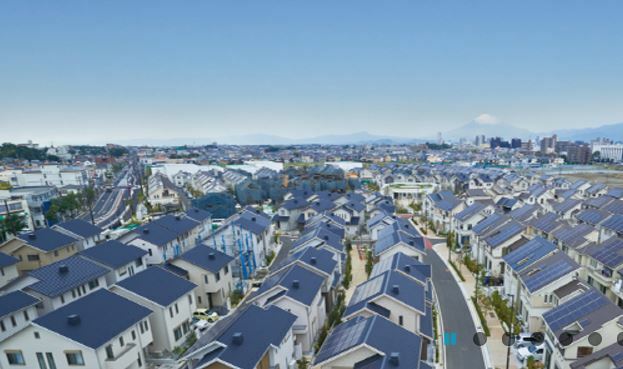 Home Tags Posts tagged with "Panasonic"
Panasonic’s solar photovoltaic HIT module production tech will pass the 20-year milestone this year, according to an email Panasonic sent to CleanTechnica. The company first debuted its patented, high-efficiency photovoltaic module back in 1997 and has since produced more than 18 million HIT modules. These solar photovoltaic modules make use of the company’s unique heterojunction technology and its pioneering heterojunction solar cells, which utilize “a combination of monocrystalline and amorphous solar technologies to deliver greater solar energy, combined with unmatched product reliability, and outstanding manufacturing quality,” as the email put it. Over the years that Panasonic has been selling solar photovoltaic HIT modules, there have been quite a lot of changes to the company’s offerings, with new conversion efficiency records being achieved regularly and thus improvements to consumer offerings being a regular occurrence. The most recent of these record-breaking events was last March, when Panasonic achieved a 23.8% module conversion efficiency — at the time a world record for module conversion efficiency, but since eclipsed. With a population of about 700 people, the village of Sone in West Timor, Indonesia, is famous throughout the region for its production of beautiful, traditional fabrics. Located close to a mountain summit, Sone is completely off the electricity grid. With the hope of learning about the challenges of living in areas that have no electricity, Panasonic Corporation’s “Cut Out the Darkness” project is delivering solar lanterns with beautiful cut-out lantern shades designed by people from all around the world. The designs chosen for production of the shades were chosen by popular votes taken online from among the many artistic wildlife submissions. Panasonic recently announced the launch of its high-efficiency N285 solar module into the European market, with an official presentation at the currently ongoing Ecobuild show in London (March 3–5, stand S4154). 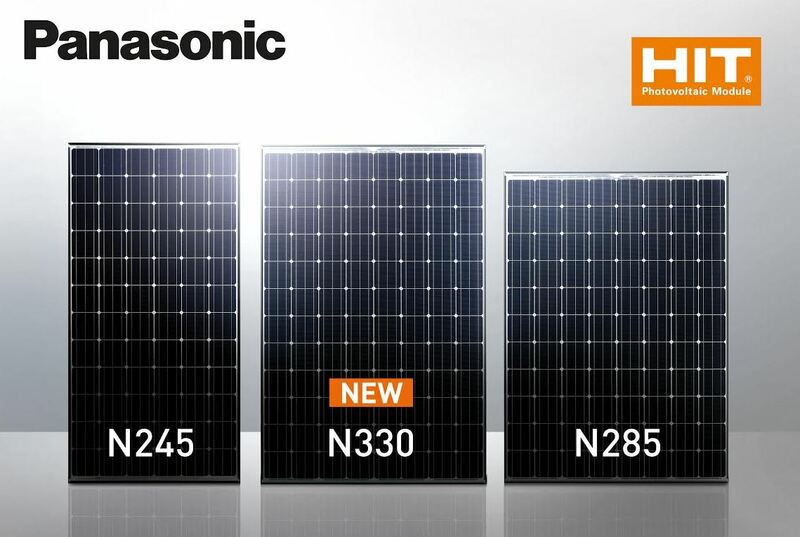 The announcement of the release of the “industry-leading” product from Panasonic Electric Works Europe isn’t in any way surprising, as the N285 solar module features a reduced length designed specifically for the European residential + commercial rooftop markets. Following the fair success of Panasonic’s HIT N240 and N245 products, this new integration of HIT (heterojunction with intrinsic thin layer) technology into a shorter panel design makes a fair amount of sense — allowing for the installation of an additional module row on most small or mid-sized rooftops, potentially allowing for increased total system output as a result. The N285 is optimally suited to the thriving UK market and the country’s 4 KWp residential feed-in tariff (FiT). Based on the rooftop space required by the average UK residential solar PV system of 3 kWp, a comparable N285-based array will have an installed capacity of 3.99 KWp, thus aligning with the FiT requirements and maximizing the energy and earnings generated for the typical UK homeowner. With the UK rooftop solar market looking set to continue its recent strong growth, the release looks likely to pay dividends for the company. A joint solar power project between Panasonic and Coronal has successfully installed nine solar power arrays in central California. They are located in Tulare and Kings counties. Total electricity capacity is a little over 16 MW, or enough for about 14,500 homes. The electricity generated by the solar power systems will be sent to Southern California Edison’s grid. ImMODO Energy Services Corporation and Panasonic Eco Solutions built the systems. The completed installations resulted from a first time collaboration between Panasonic and Coronal. Coronal is an energy company located in southern California and one that has an exclusive relationship with Panasonic Eco Solutions. “Significant solar projects are beneficial to the economy and how we produce and consume energy, but their financial and structural complexities are a big challenge for companies interested in adopting clean, sustainable energy,” explained Panasonic Eco Solutions Managing Director Jamie Evans. A fifty million dollar funding committment came from Ullico Inc., an insurance and investment company. Panasonic is very well known for being a global consumer electronics company, but Panasonic USA is also involved in energy generation solutions, energy storage, energy efficiency, and solar power. 14,500 homes might not sound like a lot, especially considering that the LA area has about 10 million people. At the same time, it isn’t possible to switch everyone from fossil fuels to clean energy at once. The solar power infrastructure simply has not been built yet. If only about one percent of US electricity is currently coming from solar power, it will some time to even get to ten percent. California is far ahead of the national average. At one point recently, it met about 18% of electricity demand from solar power. I’m sure many, if not most Californians are looking forward to more solar projects there. The cost of solar projects undoubtedly will drop, especially considering how much greater hold solar power is experiencing within the energy market. One example is the fact that SunPower has now made one billion solar cells.